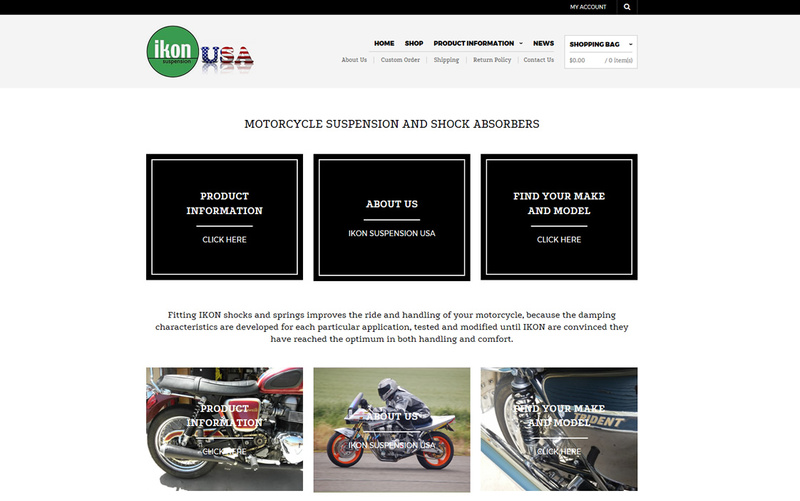 Custom eCommerce Website for the US distributor of Ikon Suspensions brand, based in San Francisco. We have integrated WooCommerce as the eCommerce platform used in this project along with WordPress. With started the project with some business analysis to understand how customers would navigate and search for their right parts. As a result, we used motorcycle brands as the key element in searching for the right suspension model for every motorcycle brand. As a result of the sales volume and the success of this eCommerce website, the European distributor asked us to build a similar site in order for them to start selling online as well.